The Darkest Minds series is comprised of three novels and a collection of three novellas found in Through the Dark. 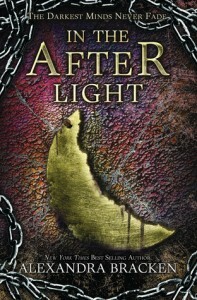 My recommended reading order is: The Darkest Minds, In Time (novella), Never Fade, Sparks Rise (novella), In the Afterlight, and, finally, Beyond the Night (novella). 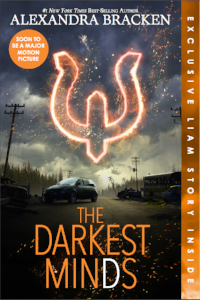 There is a free short story about Liam set between The Darkest Minds and Never Fade that you'll receive when you sign up for my newsletter. The Darkest Minds has been optioned for film by Fox and 21 Laps production company. Chad Hodge has written the script and Jennifer Yuh Nelson is signed on to direct, with Amandla Stenberg starring as Ruby. SPECIAL EDITION WITH EXCLUSIVE LIAM STORY! When Ruby is entrusted with an explosive secret, she must embark on her most dangerous mission yet: leaving the Children”s League behind. Crucial information about the disease that killed most of America's children—and turned Ruby and the others who lived into feared and hated outcasts—has survived every attempt to destroy it. 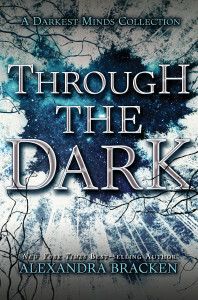 But the truth is only saved in one place: a flashdrive in the hands of Liam Stewart, the boy Ruby once believed was her future—and who now wouldn't recognize her. As Ruby sets out across a desperate, lawless country to find Liam—and answers about the catastrophe that has ripped both her life and America apart—she is torn between old friends and the promise she made to serve the League. Ruby will do anything to protect the people she loves. SPECIAL EDITION WITH EXCLUSIVE SNEAK PEEK OF THE DARKEST LEGACY!